The key is realizing that the benefits of innovating now outweigh the risks, and that the right partner can help you navigate the sea of change. While your state has been planning to modernize for tomorrow, we have built a tool that agencies are already using to help vulnerable children and families today, while positioning for future success. Traverse®—a solution designed to increase efficiency, improve service delivery, and provide unique insight—can make a significant, quantifiable impact on your agency. Social workers in protective services, preventative services, foster care, adoption, adult & aging, and more can use Traverse to collect, view, and share case content from anywhere at any time. All of the content collected is automatically analyzed so workers are presented with key insights into the case. By managing and accessing the volume of content buried in case files more efficiently, workers can spend more time doing high-value work with children and families. Traverse is a commercially available, software as a service (SaaS) product that can be tailored to your agency’s needs and implemented in months, not years, so you can start taking advantage of it quickly. 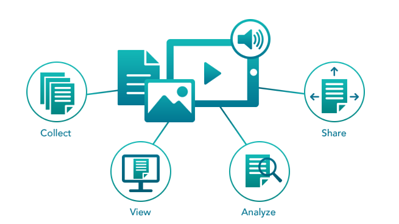 Our solutions—including our content and data collection tool along with AI-enabled case discovery functionality—are installed and ready to use between four to six months. Consider two specific problems below that your caseworkers are already facing and will continue to get worse. A well-thought out approach to implementing technology like Traverse can start helping workers overcome these hurdles and deliver better service now, plus set your agency up for future success. Cases are increasing in number and complexity. As a result, addressing a family’s unique needs requires more intensive intervention than ever before. Workers need to have the right information at the right time—wherever they find themselves. It’s not that workers themselves need to be more mobile. Instead, they need all the content and case history that could possibly hold any clue for safety, well-being, or permanency to be as mobile as they are. Traverse can help social workers find those “golden nuggets” of information they need to make more informed, confident decisions. It can help them understand and prioritize a family’s risk factors and focus on its greatest needs. Talented and dedicated social workers are too often forced to act as glorified clerical or data entry workers. They’re stretched beyond their limits, constantly worrying if they’re doing enough to help families as a result. Often, agencies are tempted to fall into the cycle of constantly increasing staff levels to try and keep pace with the demand. While nearly every agency would benefit from having a few more hands to help, this is rarely a long-term solution. We’ve also heard from several workers that they’ve been given technology that was supposed to change the way they work, but instead just had them doing the same things in a different format. They need something that gives them back the most important resource they have—time. Traverse enables workers to do the job they were hired to do: spend as much time as possible out of the office engaging with families. It gives them both the information and time they need to focus on critical thinking, safety-based decision-making, and finding the right resources to support each unique family. No matter what problems your agency is facing, one thing is clear: innovative technology (as long as it’s built with your workers in mind!) leads to more productive, informed social workers who can do high-value work with children and families to impact results across the agency. Our blog post, “Connecting the Dots: How Traverse Can Positively Impact a Child’s Life,” highlights six ways Traverse can help your agency ensure safety, achieve permanency, improve well-being, and produce other child-centered and family-centered outcomes. Reduce cost of foster care: Reinvest time saved on administrative work toward child and family engagement to reduce length of stay in care. For example, an agency with 200 kids in care could save ~$130,000 per year by reducing the length of stay for 60 of those kids (30%) by just one month (based on $25,782 per year as the average maintenance and administrative cost to care for each foster child). Slow the rate of turnover: Lessen burnout, anxiety, stress, and other burdens placed on social workers by ineffective tools and processes. Estimating that each worker who leaves ultimately costs the agency $54,000, you could save ~$270,000 annually by keeping five workers on board one year longer. Decrease IT burden: Lower your total cost of ownership, especially when compared to a custom-built application. Traverse is a hosted solution that requires minimal IT maintenance, monitoring, or support, plus upgrades are automatically deployed as they become available. Cost savings will vary depending on your agency’s unique IT environment. 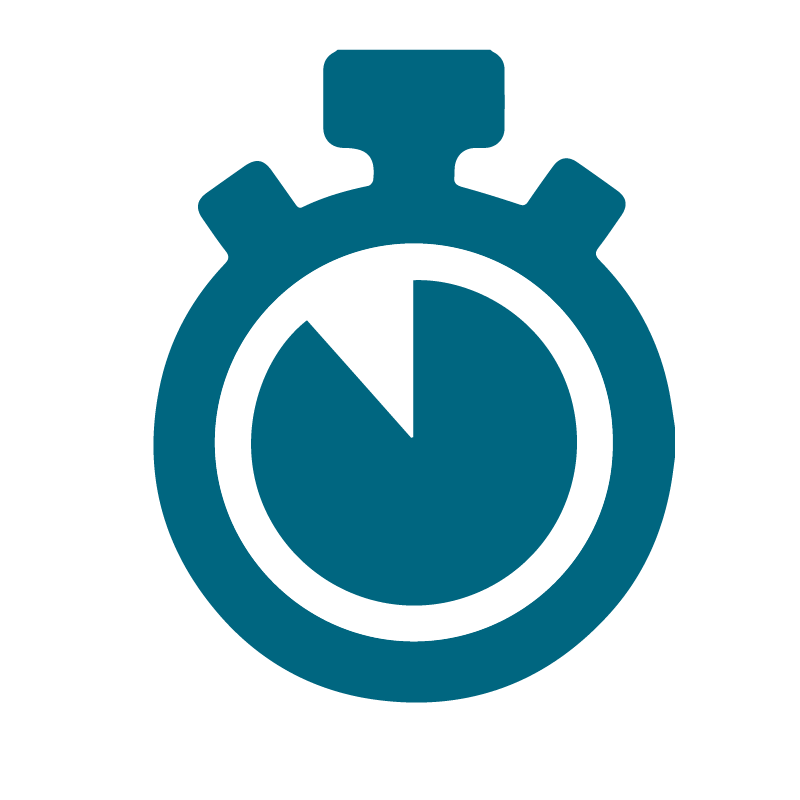 Faster time to value: While modernizing an entire system may take years, Traverse can help you make changes to existing systems and processes that will deliver quick results. For example, make case documents securely available over mobile devices or apply artificial intelligence to turn existing case notes, assessments, and plans into insight. Our customers typically realize ROI in as early as 12 months. Minimize audit prep time: Nearly two thirds of agencies we surveyed said prepping for audits takes precious time away from serving families. Traverse can help you gain this time back. Workers can use Traverse to quickly collect the evidence you’ll need to demonstrate compliance, without causing additional work. 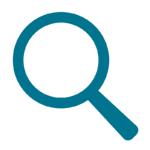 Since it creates organized, accurate, and readily accessible electronic case files, you’ll minimize time spent searching for information and documents during review. Streamline and improve court prep: Traverse automatically generates a timeline of previous transitions, legal changes, and other critical events for a child or family based on content and data as it enters the case. Social workers can spend less time reviewing and researching information, and more time preparing for upcoming court hearings, case transfers, and adoption events. Mitigate risk when transferring cases: Virtually eliminate the time and risk typically associated with acclimating a new worker to a case. Since Traverse can read and understand content the same way a social worker would, a newly assigned worker can sift through the case file to quickly familiarize themselves with key details and topics, including what happened before they got involved. As I mentioned recently in our Research Library, in today’s world where there seems to be an app or an answer for everything, we’ve heard from several directors that face “analysis paralysis” and technology exhaustion when evaluating options. We’re all too familiar with your struggle: if every potential partner claims to solve every potential business problem that you have, how do you cut through the noise and figure out where to invest? Our advice: there is no one-size-fits-all solution or “silver bullet” that’s going to magically solve all your problems at once. Instead, start with tool that will address the biggest part of the problem, impact the largest group of workers, and serve the largest percentage of the community. We’re big believers that Traverse can—and should—be that tool for your agency. Since Traverse easily integrates into your agency’s existing or future systems, we can help you hook it up to your state’s new system whenever it does become available. Traverse closely aligns with child welfare practice models, enhancing your agency’s ability to focus on things like strength-based engagement or structured decision making. We created Traverse to be flexible, intuitive, and user-centric, which facilitates lasting adoption. We’ll also provide training, coaching, and additional resources to ensure ongoing success. 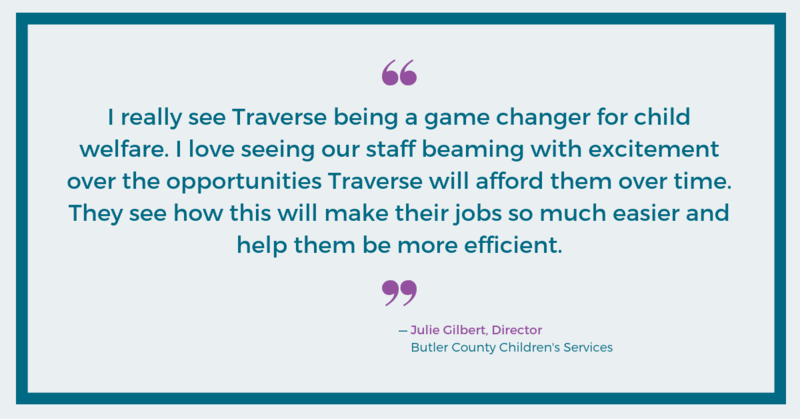 Read some of our recent news to learn more about why agencies in California, Colorado, New York, Ohio, and more are investing in Traverse for their staff and community. Are you ready to start innovating? Get in touch and let’s work to make a difference together. Rich Bowlen’s goal is and always has been to give his very best day in and day out to do the most good for the most kids. As vice president, protective services, Rich serves as our national lead and advocate for child welfare and protective services. He’s the connector between Northwoods' employees and our child welfare partners, including agencies, advocacy groups, policymakers, court systems, state and local legislators, national industry leaders, and more.